New York City investigators have a new way of fighting corruption. They are now leveraging “big data” technology to analyze large, disparate datasets. The result is quicker, more efficient investigations, producing evidence that would not otherwise have been detected. Corruption is pervasive in New York. The State Integrity Investigation gave New York a “D” grade for corruption risk, finding it to be a “defining characteristic” of the state. 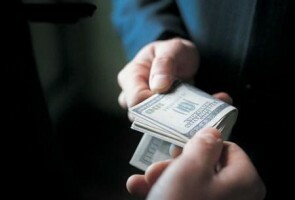 New York has recently pushed to improve its methods of corruption investigation. A new data analytics tool, used by the state’s Moreland Commission, yielded significant results toward that effort. Notably, the recent arrest of Assembly Speaker Sheldon Silver on corruption charges was precipitated by evidence produced by that commission. This tool, originally developed for use in counter-terrorism, integrated vast datasets, including intelligence gathered by investigators. Their dataset included phone records, emails, payroll data, timesheets, reimbursements, legislative office budgets and swipe card access data. Investigators also mined publicly available data about elected officials from social media sites and other databases.In their report, the Commission described their investigative approach. They largely applied traditional investigative techniques, which were augmented with emerging technologies. The traditional approaches included document review, research, interview and undercover work. The emerging technology was a proprietary data analytics tool, which examined large-scale data sets. The technology proved to be effective. The Commission said the data analytics spotted trends, which were otherwise undetectable. The tool produced intelligence, which “connect[ed] the dots” and enabled investigators to create dossiers on companies, organizations and persons of interest, and to construct timelines and relationship maps. As a result, the Commission located suspected fraud and corruption. For example, they found several “pay to play” arrangements; loopholes allowing wealthy donors to side step political contribution limits; use of campaign funds for personal items; double-dipping; conflicts of interest violations; issues with legislatively-directed funding grants and suspected corruption issues in connection with the State Board of Elections. The Commission was also able to identify no-show jobs, instances of nepotism and potentially improper use of public funds. In one case, the Commission determined that a company was making payoffs to the chairs of the legislative committee that controlled and regulated that company’s industry. Because the payments were made via unrelated shell companies, traditional investigative work would have been unlikely to detect this fraud. The use of technology in investigations is becoming more widespread. In their report, the Commission said numerous government agencies are using similar analytical platforms in a wide variety of complex criminal, civil and intelligence-gathering matters. Another New York agency employing similar technology is New York City’s Department of Investigation (DOI). Formed in the 1870s, DOI is one of the oldest law enforcement agencies in the country. DOI investigates City employees and contractors engaged in fraudulent activities or unethical conduct. During Commissioner Rose Gill Hearn’s administration, from 2002-2013, DOI made 6,000 corruption arrests, resulting from thousands of investigations. Like the State’s Moreland Commission, DOI is also employing the use of data mapping in fraud and corruption investigations. DOI’s new Commissioner, Mark Peters, appointed in January 2014, is developing a data-mapping platform to enhance their investigations. Peters discussed the use of investigative technology in his January 30, 2014 testimony before the City Council Committee on Rules, Privileges and Elections, as reported by Jennifer Baek in CityLand. Peters plans to use technology to cross-compare multiple datasets, and to discern patterns, producing “red flags” which would not otherwise be detected. Per Peters, the technology will “root out vulnerabilities and discourage corruption, fraud and abuse before it happens.” In developing the tool, DOI will isolate relevant data from hundreds of repositories and work with developers to design the technology platform to run comparisons against the datasets. It is interesting to note that DOI has successfully used technology in their investigations in the past. DOI previously used data mapping to uncover pension, unemployment and housing fraud. In their 2013 Fiscal Year Annual Report, DOI reported using technology to analyze city employee pension system data and uncovered fraud targeting the public retirement system. DOI has also previously leveraged investigative technology to prevent fraud and corruption. Following the pension fraud case, DOI worked to establish a stronger data-matching program that compared pension rolls against national sources on recent deaths, leading to timely identification of fraud. Despite its value, Peters says the technology won’t replace traditional investigative work. Rather, it will allow DOI investigators to work more efficiently. Overall, evidence demonstrates the use of technology in investigations in New York is yielding important findings. Given its increasing popularity and investigative value, it is likely that such technology will someday be commonplace in the investigative process.